Northgate Rare Coins & Precious Metals address, phone, website, hours of operation, and more. 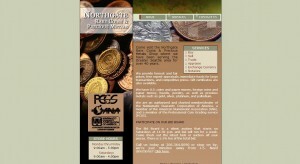 Come visit the Northgate Rare Coins & Precious Metals Shop where we have been serving the Greater Seattle area for over 40 years. We provide honest and fair prices, free expert appraisals, immediate funds for large transactions, and competitive prices. Gift certificates are also available. We have U.S. coins and paper money, foreign coins and paper money, bezels, jewelry, as well as precious metals such as gold, silver, platinum, and palladium. We are an authorized and charted member/dealer of the Numismatic Guaranty Corporation of America, a member of the American Numismatic Association (ANA), and a member of the Professional Coin Grading service (PCGS).